We started off with 6 inches of rockwool in our loft, which by modern standards was insufficient. So we shifted all the wool from the centre part, and laid it on top of the wool at the sides. 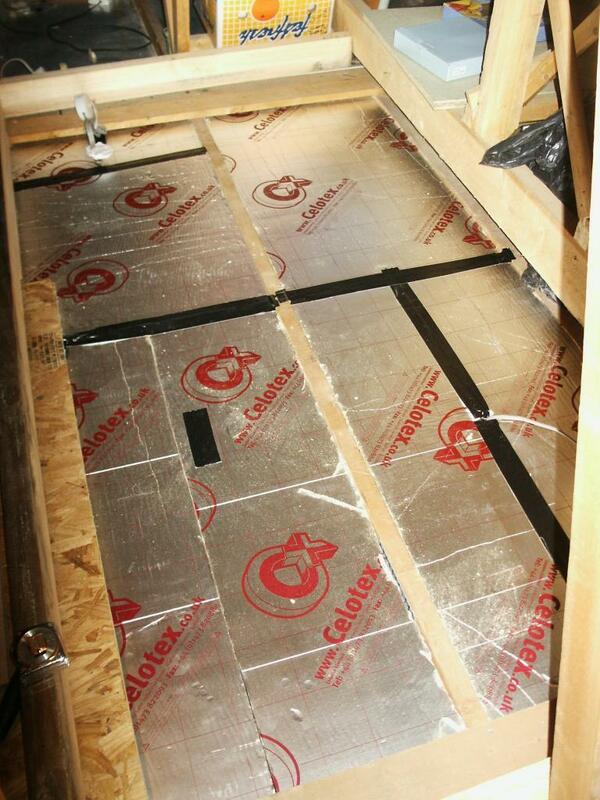 We then cut up and laid two layers of 75mm Celotex ™ in the centre section, with extra joisting as the photos show. We used tape to seal up the joins. We needed extra rockwool for the sides, as the amount we removed from the centre was insufficient to double up all the sides. 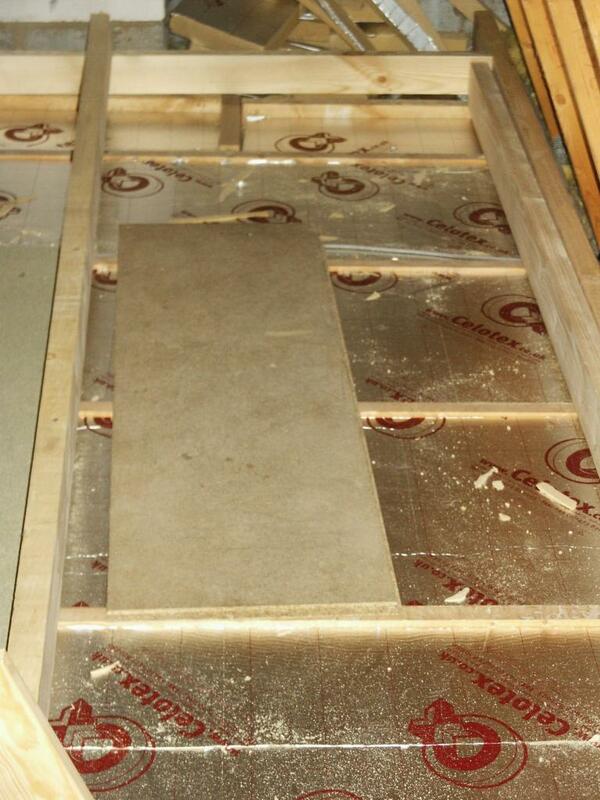 The result is a slightly raised centre section that has been boarded (21mm chipboard) and is fine to walk on. 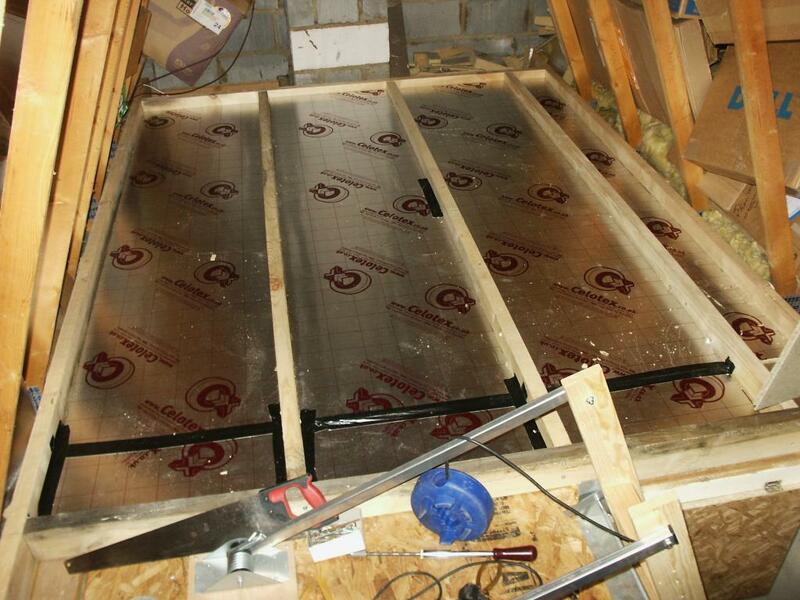 The only tricky part was insulating around the loft ladder, and insulating the loft hatch itself. The hatch employs a push-to-engage, push-to-release latch that works very well, but can leak a lot of heat because of the small gap when it's engaged. We insulated the gaps with springy foam to compensate for this.